gives peace, a song of being empty, pure silence. Emotions are signals - from the consciousness and spirit through to our conscious awareness - they are materialized messages from our intuition meant to awaken attention to our present experience. Emotions are gifts - they are experiential proof of our soul's experience as we interact with others and the world. Although I allow my heart to guide me, I do not let my emotions - especially those of anger, bitterness, regret, etc. do anything but watercolor my reality. Holding on to perceived slights, voids, dissatisfactions, and even "righteous indignations" only manifest dis-ease. Emotions are meant to be fluid and ephemeral markers of experience, but are not the lessons themselves. I am reimagineering my life, in a very quiet and profound way, carefully weighing and assessing each world I have in simultaneous orbit. Having my end year/ beginning year identity crisis. My personal "new year" does not start until my birthday on February 13th. I have until then to craft this year's reinvention of my Self. Until then, my activities include immolation, ablution, rejuvenation and then, rebirth. As I begin my lunar ritual tonight, I have a lot to reflect/meditate on, as usual. But the excerpts below are particularly apt. . . sigh. . . must. check. self. before. wreck. self. If you tend toward the Leo drama-queen spectrum of emotional expression, you could use this Moon to do some powerful healing work with your inner "enfant terrible". Reality-check Saturn in Leo makes this a very good New Moon cycle to take a hard look at your own emotional reactivity; especially if you suffer with mood swings. It is possible to love deeply, feel deeply, and create deeply, without wreaking havoc in your own life and the lives of those around you. Leo often gets hooked into the importance of keeping up appearances (especially with Venus (beauty) in Leo; how we look, what we own, what we do, become, for many people, the definers of self. More than anything Leo wants to be noticed and appreciated. The Europeans have the right idea with the concept of siestas. 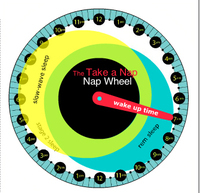 At Barcamp, I attended Alex Kawas' "The Art of Powernapping" session, which gave me the link to Dr. Sara Mednick and her Nap Wheel. The New Moon in Capricorn is an excellent time to plan your intentions for the year. I have my own rituals for planning out my goals, and one of my favorite ways to do that is to use mindmaps. This is a collapsed version - I keep my expanded version private. Each and every one of those little satellites has a list of specific goals attached to it. I've discovered that these mindmaps help me clarify, visualize and feel energized by my plans. I should also add, that each item on the expanded satellite lists triggers me to a next physical action - in GTD terminology, these are "trigger lists" - which can be put into my GTD system as projects, then evaluated for next actions - like @calls, @emails, etc. Patternlock, of course, refers to my marriage. Pod refers to my little baby in my tummy. Art is stuff I do for art's sake, whether or not it will bring me financial gain. Karma Bank includes skills/time/projects to contribute to others, and the mutual arising. If you'd like to try mind-mapping - there are tons of free trials for mindmapping programs, or you can also download freeware like Freemind. Tonight I went to the first night of BarCamp Los Angeles, a geeky un-conference. Heather and I set up a GearSwap / Electronics Iron Chef table for the l33t to hack into something. So far no one's taken up the challenge yet. Tomorrow I'll be presenting "GTD with Mistress Chi-Chi" - a memorable way to evangelize the GTD workflow system and inspire discipline, in my organizatrix persona! So far there are a handful of other GTD enthusiasts who will also be on Chi-Chi's GTD panel to share their passion for productivity and their customized lifehacks! This morning I woke up and did my roll and stretch, and sat for a moment with a very surly and grumbly feeling and a bad headache. I had my stretch, which made my head go waaaawaaaa wwaaaaa waa and I had some water, too. Technically, I don't need to be up right now and my brain is fighting for one more hour of sleep, which my schedule can well afford this morning. I am grumbly but I'm up. I will do some meditation exercises. I may fall asleep during this. It's late and tonight my thoughts are restless. Why wait until you have $X,000,000? Why wait until you have the right partner? Why wait until external conditions are "just right"? Why wait until there's almost no time left? WHY WAIT TO START LIVING YOUR DREAM AND DESIGNING YOUR LIFE? So why are we afraid of our dreams? Why are we afraid to dream big? Why would anyone rather stay in the stale static muck of the familiar and ignore their instincts for greatness, and their desires to do more, have more, or be more? What's so comfortable about the comfort zone? Why do we allow obsolete habits and useless self-talk and limiting beliefs to cloud our visions, defer our dreams, and defeat our desires? My dreams have been so much bigger lately - spurring me with visions of more intense work - not only in helping others in my hypnotherapy practice, or setting voices free with my vocal studio - there's more in my dreams - a bigger, beautiful base of operations with the walls covered in art, full of light, plants and flowers and serenity - a lush, fertile creative environment with inspiration at every turn. Dreams of being on stage once more, performing, absorbing and playing with the energy of a live audience, holding and sustaining a strong, pure, powerful note. Of signing my name into the inside jacket of my books of poetry. I wake from these dreams - somedays with regret, somedays with wonder. With a sense of "that's just a dream." But my dreams are telling me something - they are providing me with visions of my desires manifest onto gorgeous landscapes. How could these dreams, yet unfulfilled, fill my heart with such longing and fullness? How can I feel regret for realities yet unseen? Why do I dismiss these very achievable goals? The regret is only Fear, Oh Fear, such a general paralysis! What litany of excuses fall beneath your penumbra! Fear of Change, Fear of Judgment, Fear of Flying. Fear is the mindkiller. Fear is the murderer of dreams. I have so many projects I am undertaking right now, so many things I have to say, and write, and share, with passion, heart, love, and full intent. I catch myself sometimes, in the midst of my brainstorms, and am attacked by the sudden worry - who will care about this? Hasn't this already been done? >> Excerpts from "Move On" from Stephen Sondheim's "Sunday in the Park with George"
I chose, and my world was shaken--so what? Let others make that decision . . . I've recently returned from Sheffield, UK, and I'm almost over the jetlag and all my trailing molecules have just about caught up with me from the transatlantic journey. Airport goodbyes are never easy. The ache of separating your body from your partner is palpable and there is a keening within that logic cannot console. Despite my arsenal of emotion-management tools and skills, I still couldn't help bawling and blubbering when saying goodbye to my husband, who I won't see for a little while again. However, it could have been more tragic. Using the following NLP exercises, we were able to keep our focus on our shared goals, and only had intermittent weeping spells before we had to release our handhold. These NLP exercises are useful for any relationship strategy. Reframe I: We shift the context frame by thinking of our behaviors in light of a different situation. E.g. It's appropriate to be sad, but the context of our sadness is actually sandwiched in 'we just spent some time together, we have times together ahead soon, we're not spending another 6 months apart again.' Our sadness is alleviated by thinking of the context surrounding the situation in a different way. Reframe II: We can focus on the fact that we have to part ways for now, or we can think about what would happen if we could be together, tomorrow? Immediately, something within realizes that we can't be together tomorrow - because there's so much yet for us to sort out and accomplish individually, in the next few months. Visualizations and Next Actions list: To manage the nervousness and anxiety, as well as to console the thought of the Other being mopey and lonely - we emptied our heads of all our next actions, to create images in one another's minds of busy-ness and goals, and he wrote my next actions in his handwriting, and I handwrote his, too. Reading one another's handwriting is comforting. Shifting Submodalities: We each created a visual trigger of a motivating, persuasive future vision of us together, and made it big, bright, movie-like, landscape-oriented and right in front of our eyes. 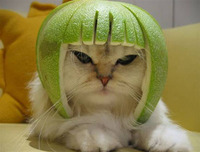 This vision guides us and overrides our pouts and weepings. Stack positive anchors:We each started to think about and visualize several of the happiest, most passionate, hilarious and joyous moments together during my stay. During that time of ecstatic reminiscence, we rubbed the first knuckle on our left hands. We did this several times, until all we had to do was rub the knuckle and it triggered the images and the smiles without effort. Reprogram internal language: When I think to myself about 'tearing my body' away from my husband, or that leaving him feels like I am "peeling off my skin," or that the "ache is unbearable," it heightens the sensitivity to overwhelming physical pain, as the words trigger neuropathways of panic within me. If I think of our relationship as a flow or a dance, or a graceful, winding double helix wrapping around itself, I feel calmer and more at ease. LDRs (Long Distance Relationships) and LTRs (Long Term Relationships) require a shared strategy for managing communications and emotions, to keep the love connection strong, stable and secure, a triumph over time and space. It's wonderful to have a partner who is willing to take responsibility for managing his internal state, and NLP has been a great tool for us both in staying focused on our shared vision of the future, and for creating the intimate context and perception of reality we both choose to share for this lifetime.